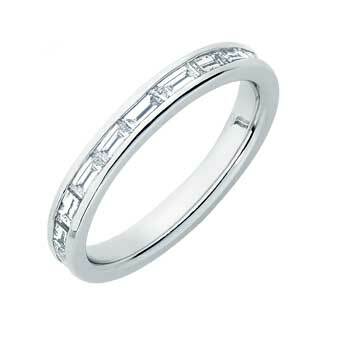 Platinum wedding band, end set with six diamond baguettes in an end set. 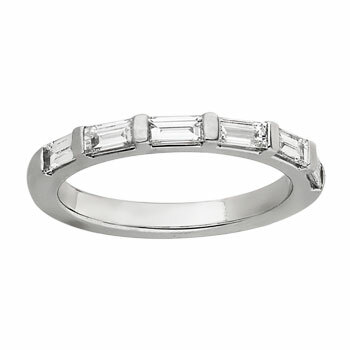 The price excludes the diamonds. 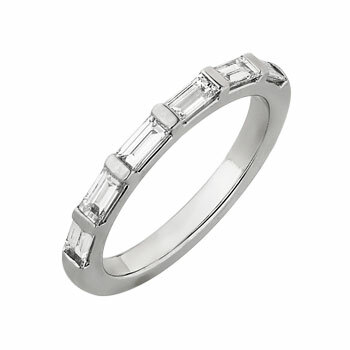 Also available in Yellow Gold and white gold, and with your choice of diamonds or coloured gemstones.